Large rustic wooden butler style serving tray with drawer storage. Country cottage style design, ideal for use in the kitchen, dining room, living room and bedroom. Also available in white. 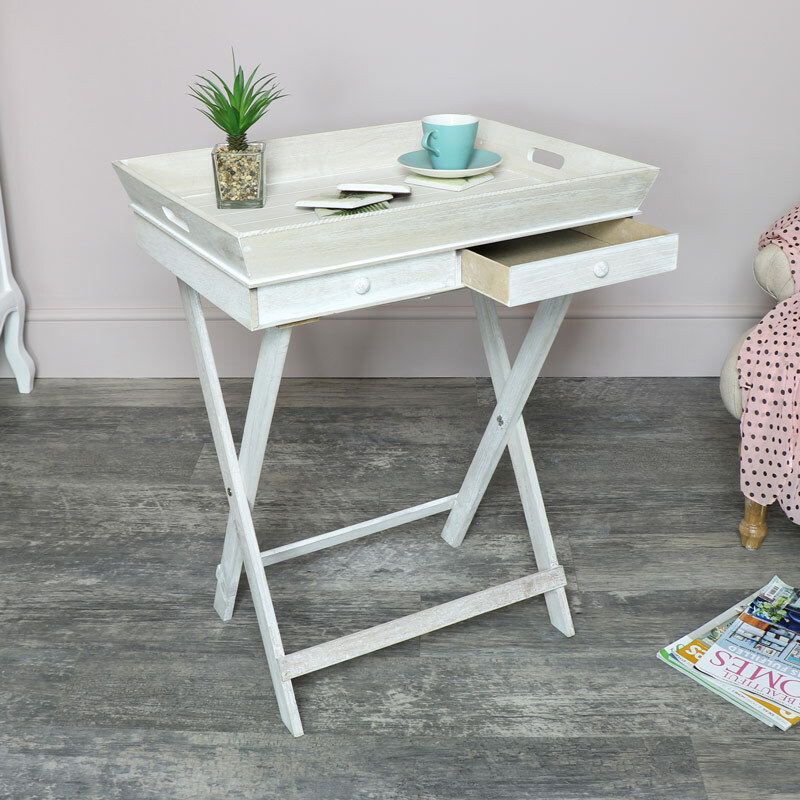 A practical and useful piece of furniture, this serving tray comes with drawer storage and folding legs which allow it to be used as an occasional or side table. Perfect way to serve guests or for breakfast in bed. Large rustic wooden butler style serving tray with drawer storage. Country cottage style design, ideal for use in the kitchen, dining room, living room and bedroom. Also available in white. 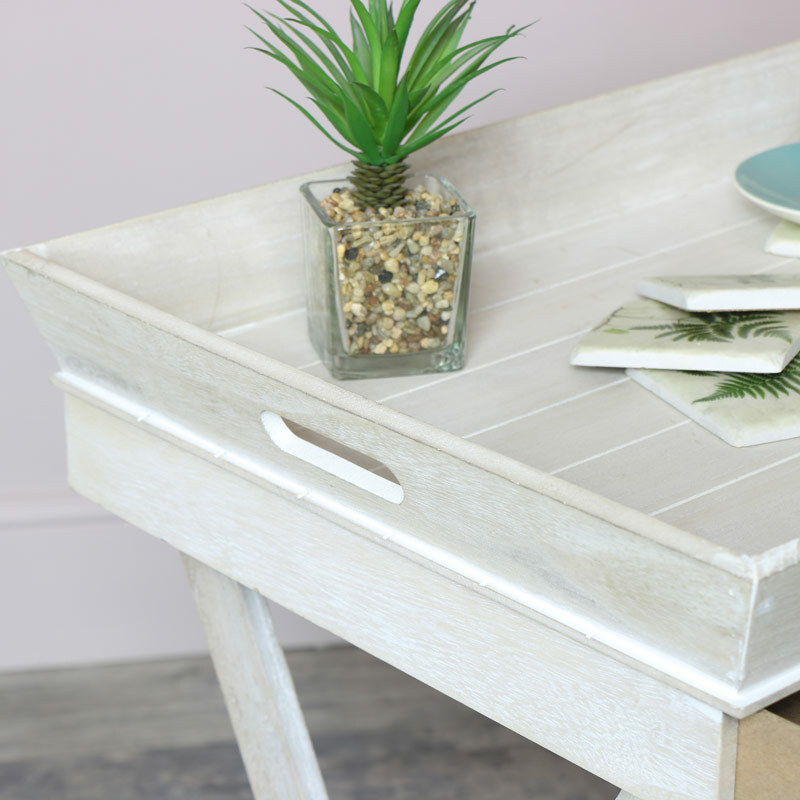 A practical and useful piece of furniture, this serving tray comes with drawer storage and folding legs which allow it to be used as an occasional or side table. Perfect way to serve guests or for breakfast in bed. Made from wood in a rustic natural wood finish. Legs fold flat for storage, tray sits on top. 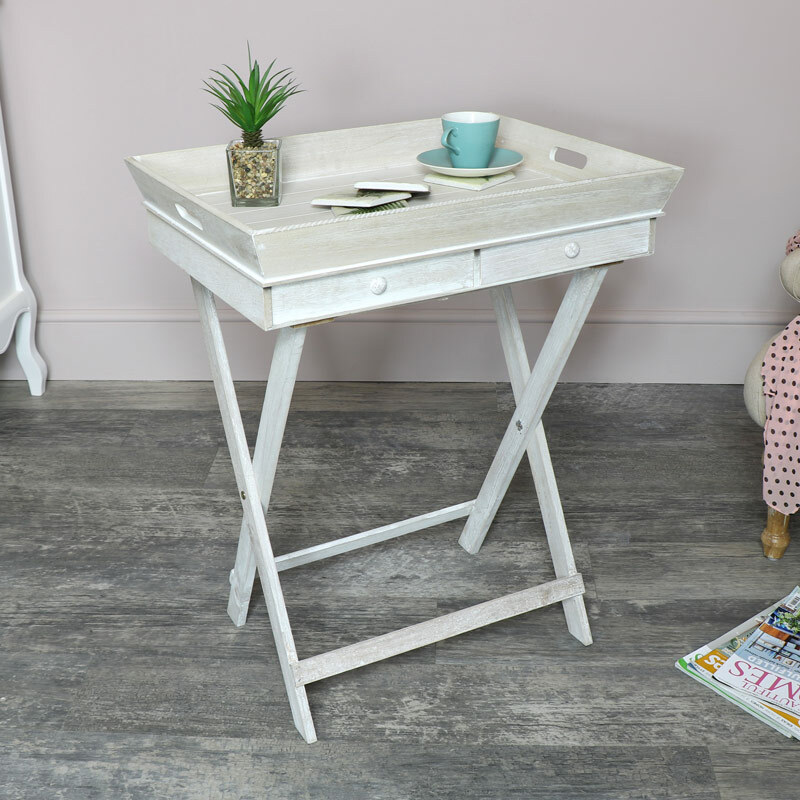 A great addition to our collection of trays and occasional tables.